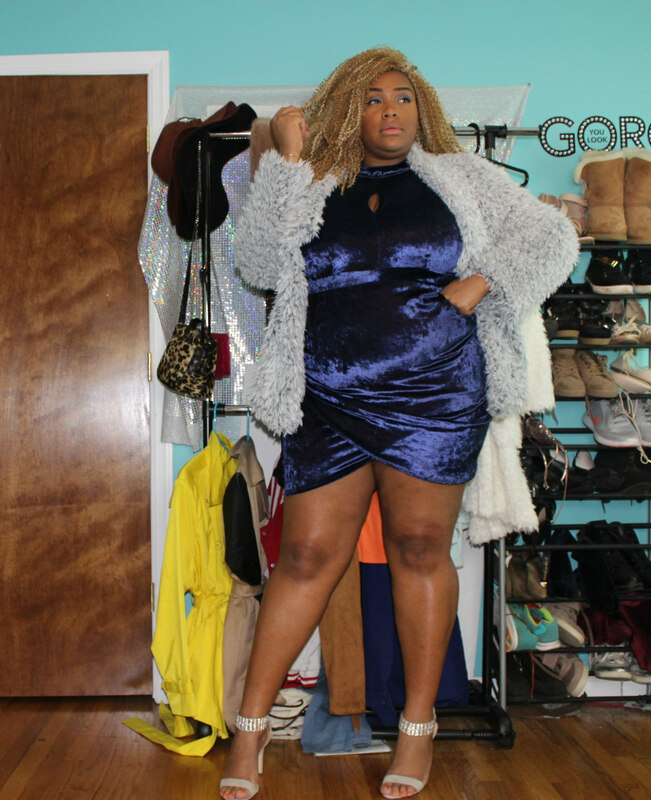 I hope you are excited about today’s blog post because I am setting you up with another 4 looks, 1 Piece video! 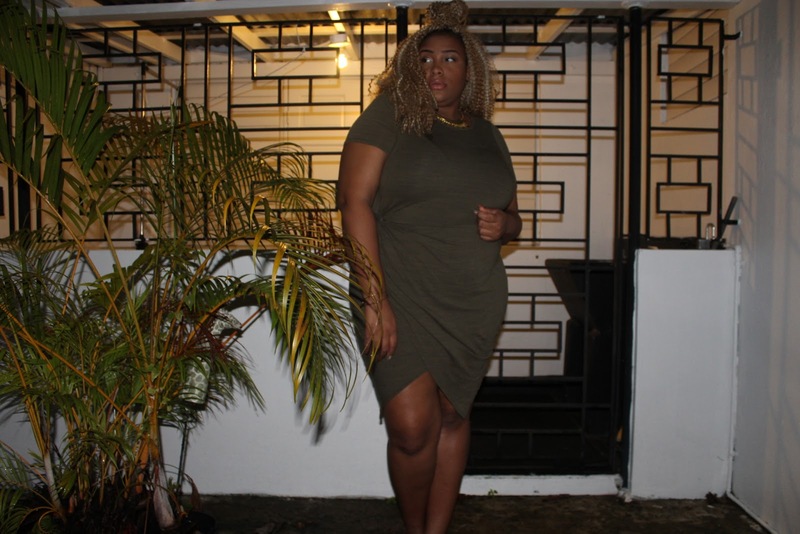 This series is all about showing you multiple ways to wear one piece. 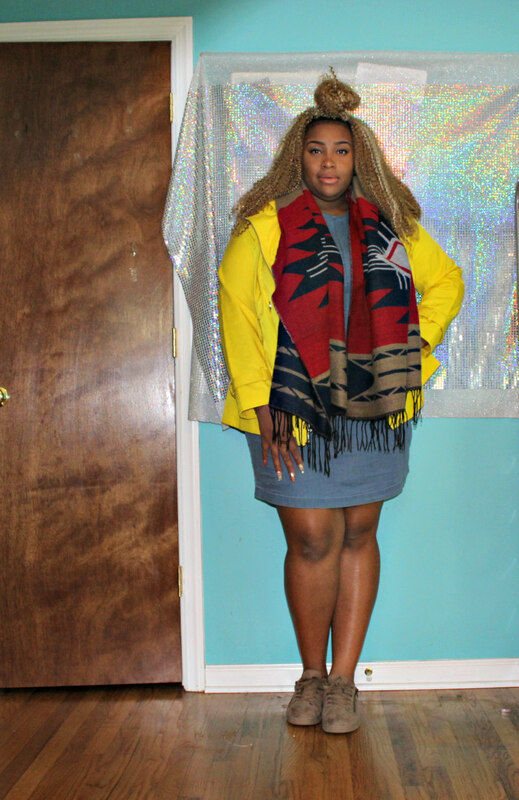 I have already shown you how to wear leggings and a cape, but today I am showing you how to rock a denim shirt! I always have multiple denim shirts in my wardrobe because they are so versatile and very easy to style. I had a lot of fun creating the looks for you guys, and I hope this video will inspire some outfits for Spring! Enough of the small talk, let’s get into the video! Which look do you see yourself rocking? Comment it down below! Remember that all of the looks are available as Pins on NoMinusPlus Pinterest page! Feel free to save and pin them for Pinspiration! 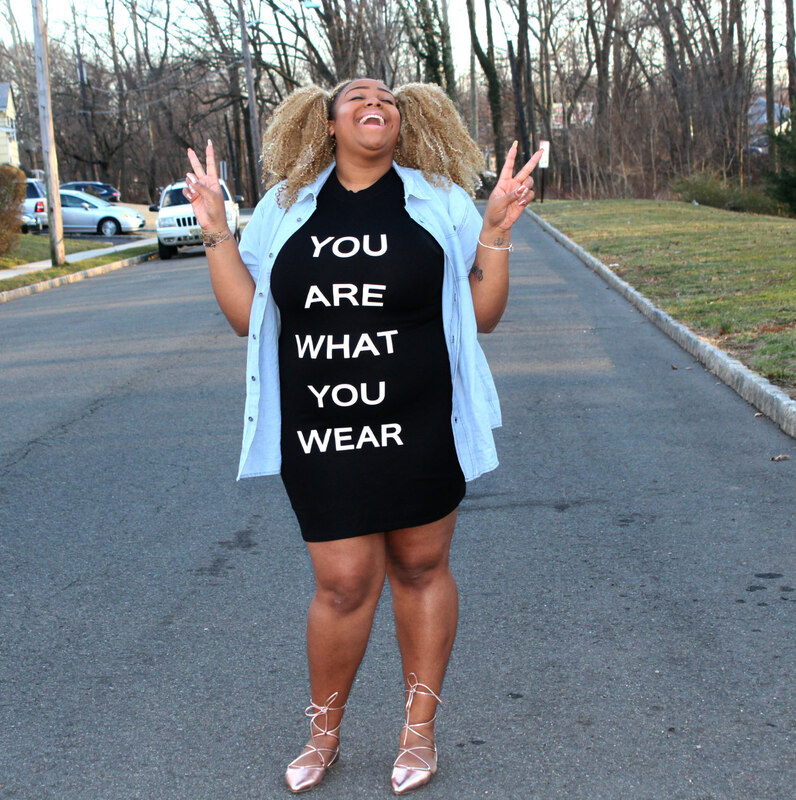 I hope you darling divas have enjoyed today’s blog post! Remember to keep up with the blog on social media by following today! They are all linked above if you are interested! Come right back here Friday for your second blog post of the week! If you follow NoMinusPlus on IG, then you will see some behind the scenes footages,and sneak peeks of Friday’s blog post! I love you lots like tater tots, and I will see you next week! Happy Friday! I don’t know about you, but I am so excited for the weekend! 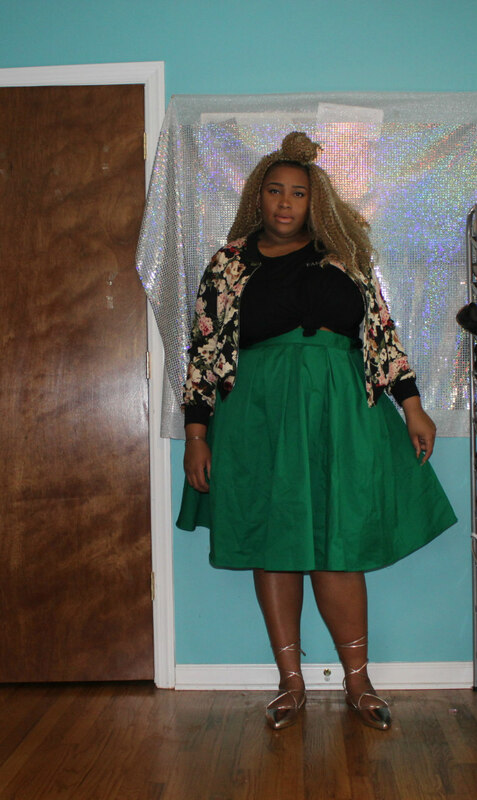 Before you go off to do all your fabulous activities, I wanted to stop up here to talk about my latest obsession: pencil skirts! 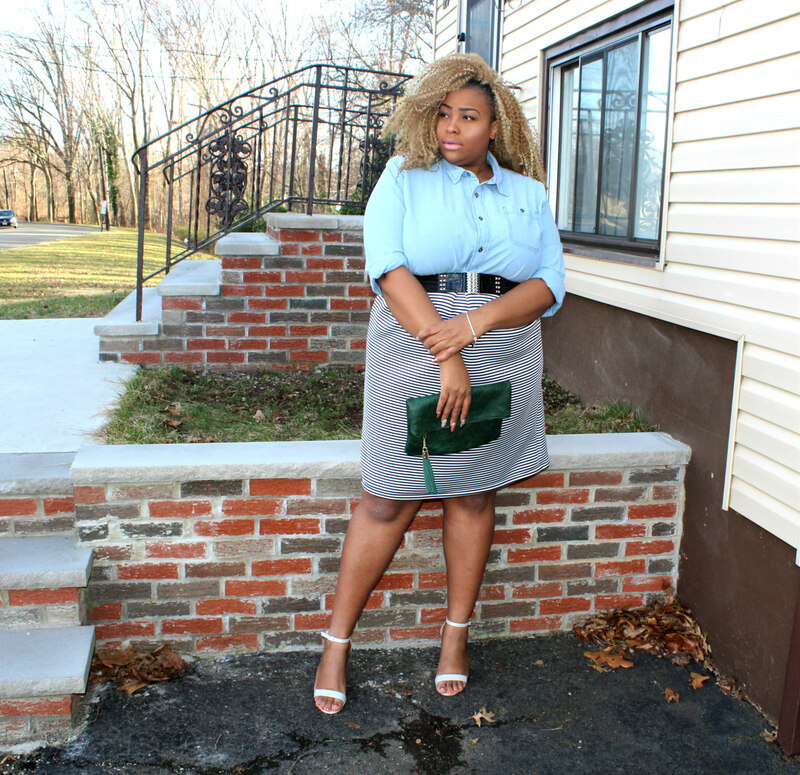 They come in all different types, all different colors, and today I will proving to you why you need a pencil skirt in your wardrobe! So sit back, enjoy the video, and be prepared to be convinced why you need once in your life! Did you enjoy the video? 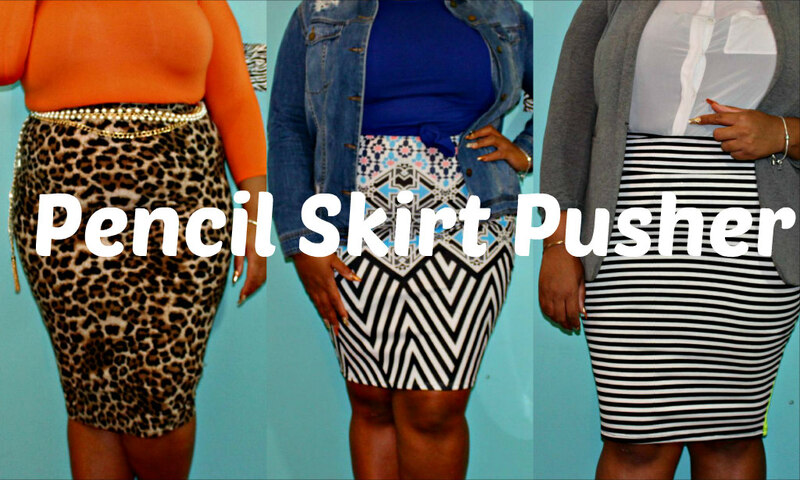 Are you running out to get a pencil skirt yet? If this essential piece is not in your closet yet, I hope I have convinced you why you need a couple in your life! Let’s recap what you saw in the video! This style is great for hourglass figures, or for ladies who loveee to show off and define their waist. I personally am one of those ladies, so I always love when I get the chance to wear this skirt! It looks great with a top tucked in to show off the peplum design! 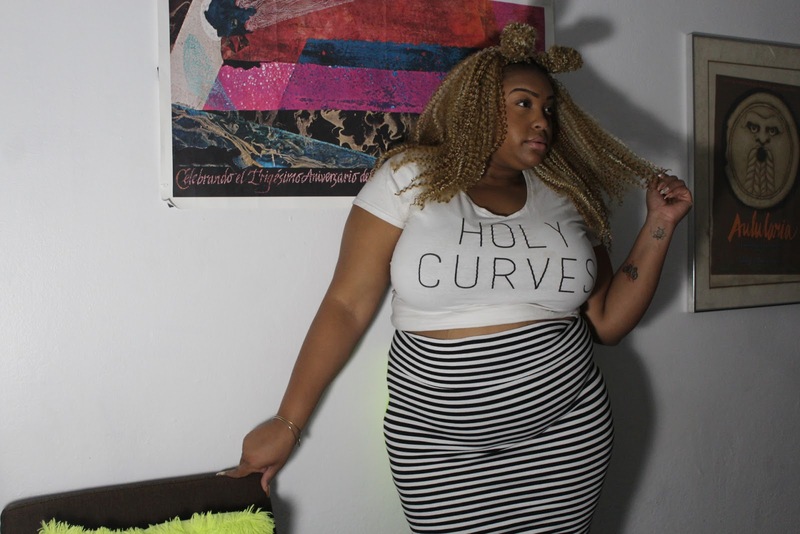 If you have a little more lovin’ going on in your tummy area, pick a pencil skirt that has some stretch! 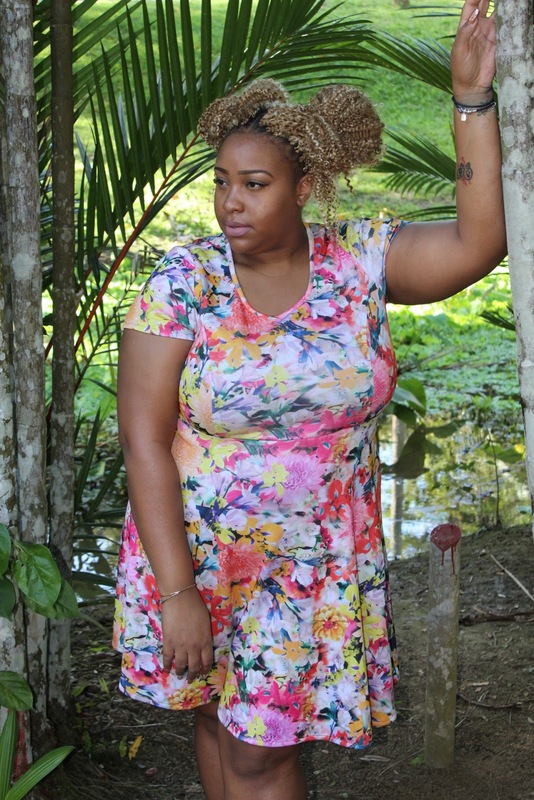 Fabrics such a cotton, ponte, and jersey are great fabrics that are comfortable and flattering on the tummy! 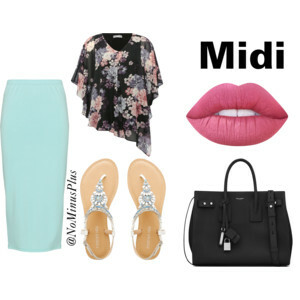 The midi length pencil skirt is great for if you don’t want to show as much leg and are a bit conservative, or/and if you are a tall lady such as myself! It will make your legs look amazing, and you can adjust how short or long you want it! Just wear it just above your waist to make it longer, or wear it high waisted to make it shorter. 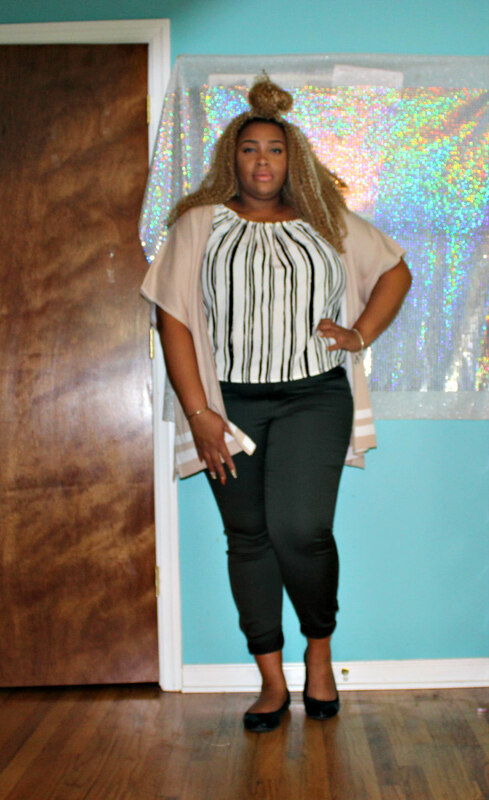 I would pair this look with pumps or pencil flats for a night out with my girls! 100% of my life is casual, so I would wear this to work( which is a casual setting), or on weekends with friends! 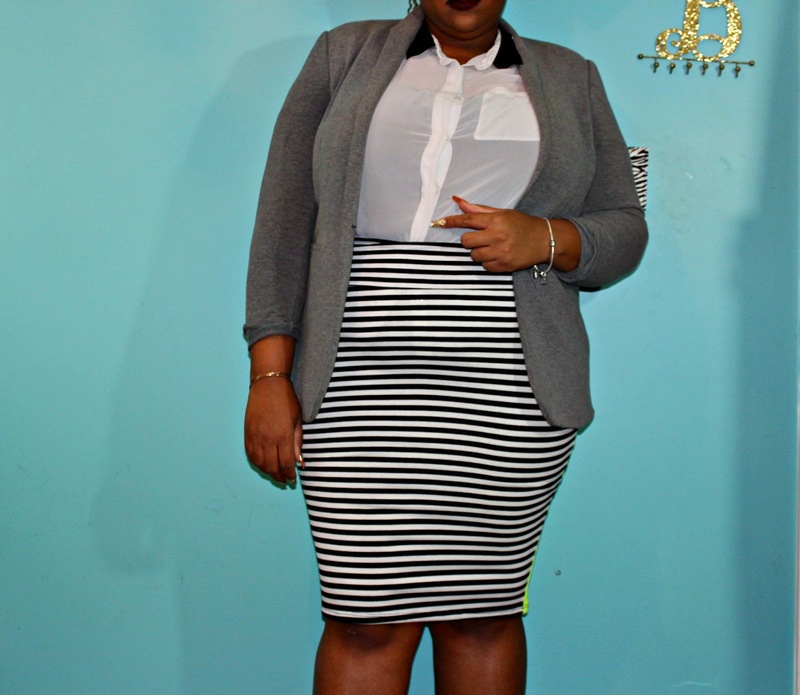 If your job is business casual, then this look is great for you! 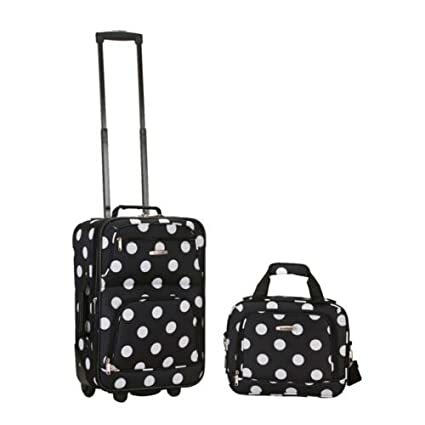 Pair it with flats or sensible heels! So have I done it? 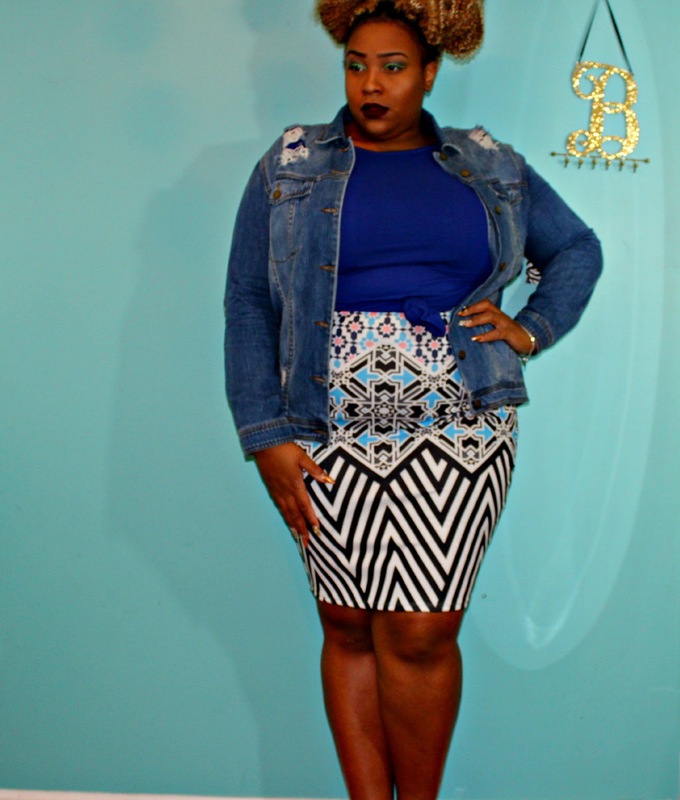 Have I made you want a pencil skirt?? I hope I have! Try this very versatile piece of clothing this year if you have always been too afraid to try it! Let’s push those boundaries in 2017! Are you following me on social media? 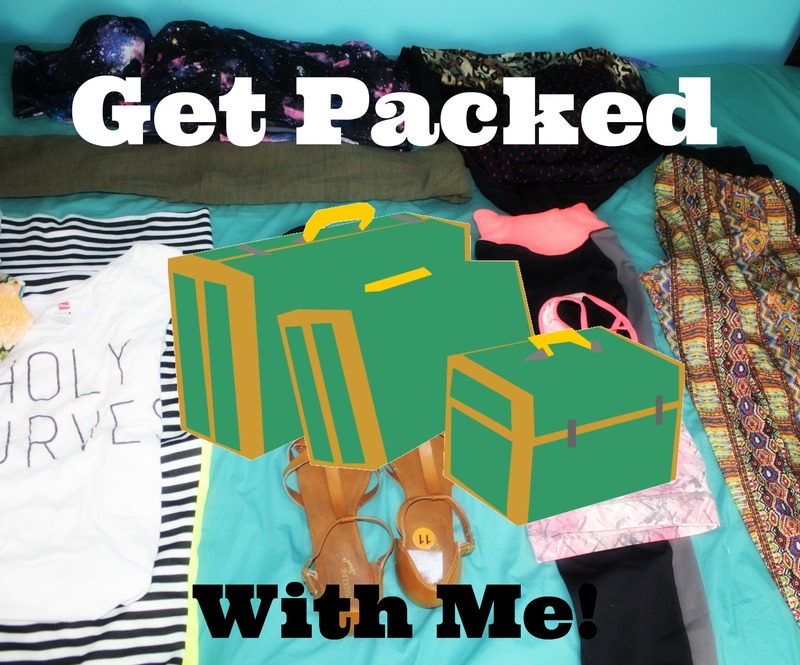 You should be because I am planning on being a lot more active on the blog’s IG page! Follow today by checking out my social media handles which are linked at the top of the page! Make sure to bring your booty right back here on Monday for another week of blog post! So I love you lots like tater tots, and I will see you Diva’s next week! Happy President’s Day Darling Diva’s! I am back up here with your first blog post of the week! This is a new series that I am starting here on the blog where I swap my style out for other styles that I have been dying to try! 2017 is all about pushing boundaries and getting outside of your comfort zone, so I encourage you to try a new style this year! I decided to give the preppy look a try for my first style swap video! I think I did pretty good, and Pinterest definitely helped me out! So enjoy the video, and meet me below! Did you enjoy the video!! I hope so! If you want to check out the Pinterest board that inspired my preppy looks, then click here! 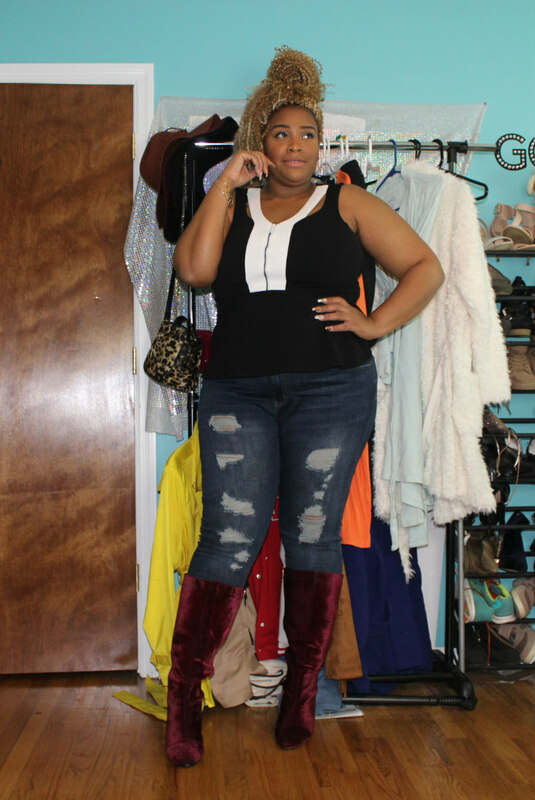 I had so much fun trying out some new styles, and transforming the pieces in my closet into a new style! In this video, I mentioned that I am going to use my Dia boxes now to help style me for the videos! Here are the three items from my recent Dia box that were featured in this lookbook! If you would like to give them a try in your next box, just copy and paste the style into the “Notes to my stylist” section on your profile, and let them know you would like to see it in your next box! From the following list put together my three looks! Not bad for me trying out this style! I really look forward to rocking some of the looks when I go out for a day of hanging with friends! 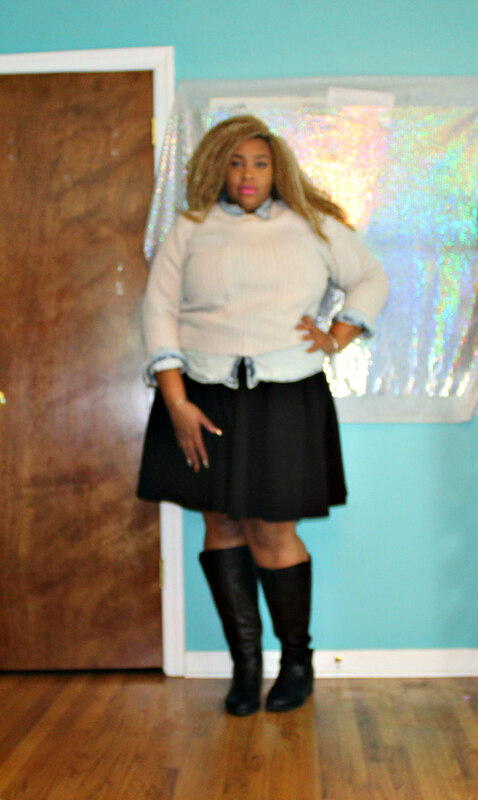 This look was inspired mostly by the neutrals of the preppy style! I wanted this look to feature colors that complimented each other, and I definitely knew I had to sneak striped in this look somehow! Although I didn’t keep the poncho, I really like how it easily layered over pieces, and how the beige compliments the green jeans! You guys this look is definitely my fave! I feel like it is such a good look for spring! I wasn’t expecting to love the combination of colors in this look, but I think the scarf pulls it all in! Can I also mention how soft and warm this scarf is? It is a new fave in my closet! So sorry that this picture and the clip in the video is out of focus, but you can still see this look! I noticed that a schoolgirl/uniform was also considered very preppy, and so, of course, I had to try this look out! 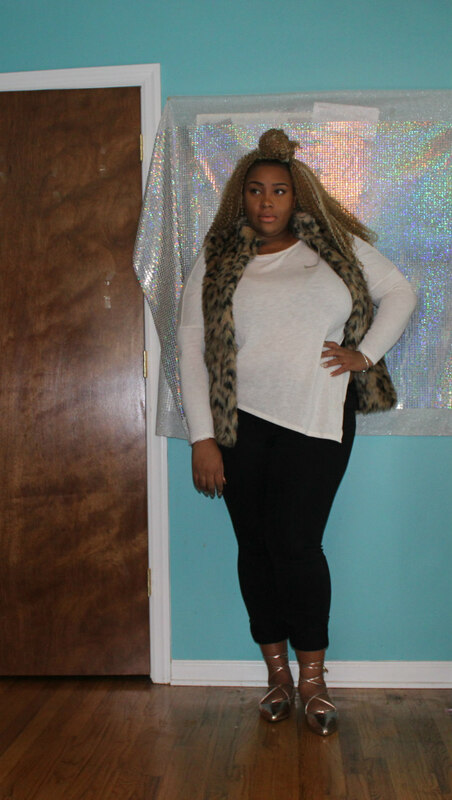 This look came out cuter than I expected, and I am gong to revisit this look next winter! 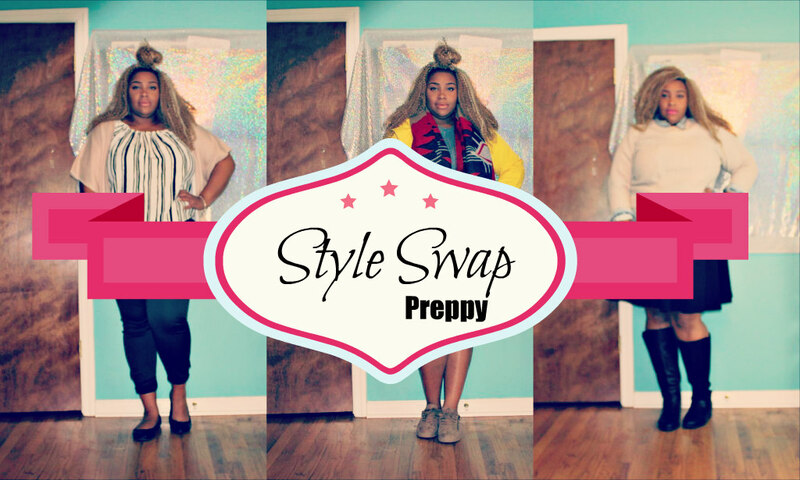 So, ladies, I hope you enjoyed this style swap video! If you have wanted to try out a style or type of clothing, I challenge you to do it this year with me! You never know, maybe you might discover a new style that you like! Feel free to follow me on social media by clicking on my links above! I will be sure to follow back! I love you lots like tater tots, and I will see you on Friday! Our four-day blog-stravaganza is now over, and we are now back to our regular scheduled programming! 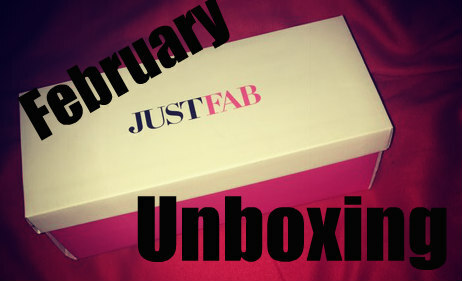 Today I am coming with you with my February JustFab unboxing. You can click here to check out last month’s unboxing! So enough of the small talk, let’s see the shoes! Did you enjoy the video? How amazing are the Petima shoes???? I am so obsessed with them! I can’t wait for Spring to come so I can wear them all the time! 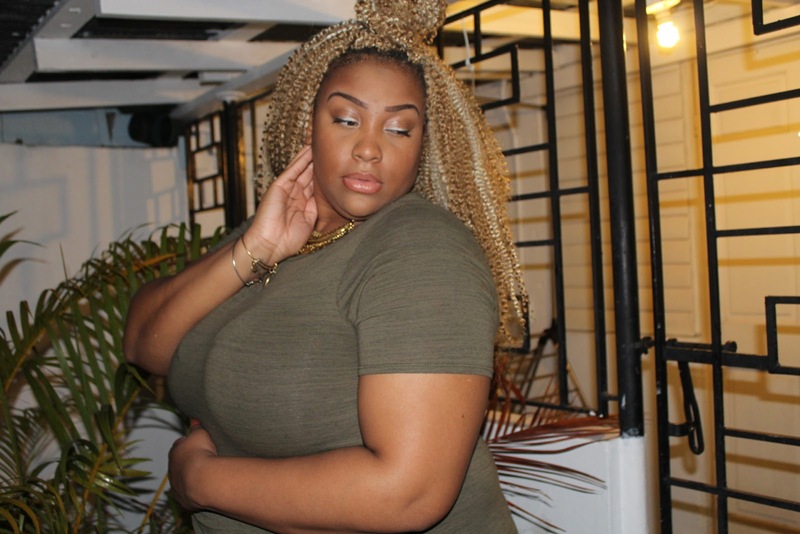 Remember to click here to check out the JustFab website, and click here to check out the NoMinusPlus Pinterest page to save all the looks from this video! This look was actually suggested by my stylist Luna back in November when she styled my Dia box! I decided to finally bring this look to life, and I love it! I could see myself wearing this for a day out with my friends, or for a cute date night! This outfit describes me perfectly! 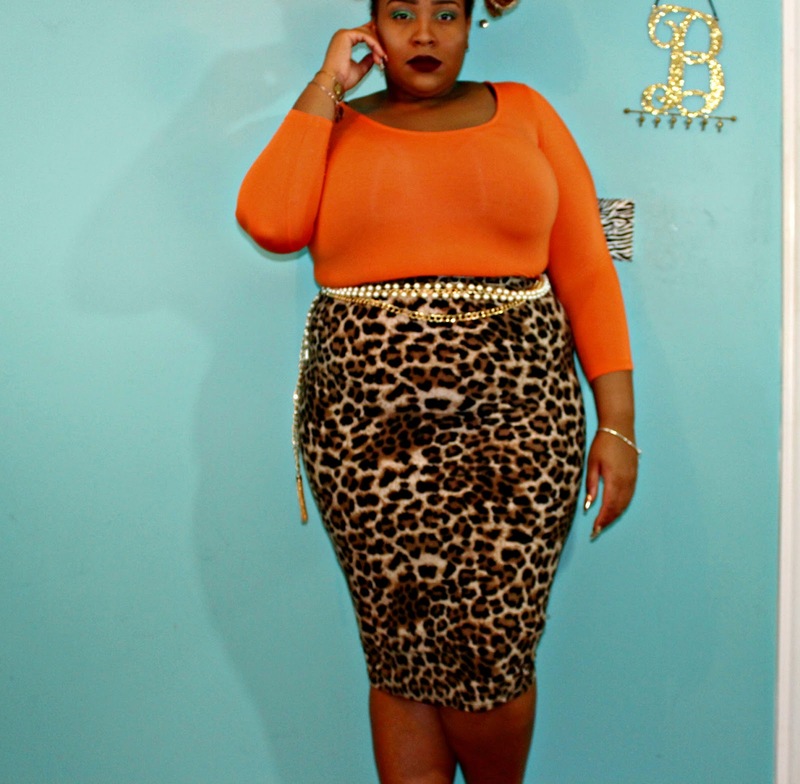 It mixes fierce with casual, and I couldn’t ask for a better outfit! I would also wear this on weekends, and the shoes definitely give this look a pop! Are you the kinda girl who hates wearing heels, but you are always going out with friends? This look is for you! The peach jacket and flats complement each other so well, and you can never loose with a black dress! So, ladies, I hope you have enjoyed my February Unboxing! I am so thrilled about all the amazing shoes that I will get from JustFab, and if you want some shoes of your own click here to check it out! 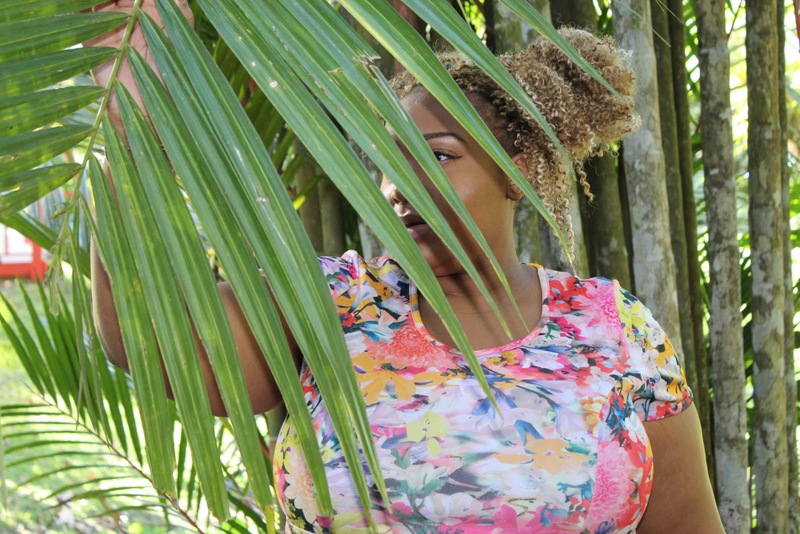 Are you following me on social media? They are all linked above! I love you lots like tater tots, and I will see you on Friday! Well, another Friday has come our way, and it has been a pretty busy week here on the blog! I have posted three times this week, and let me tell you it felt good! I always love when I get to give you guys new content! 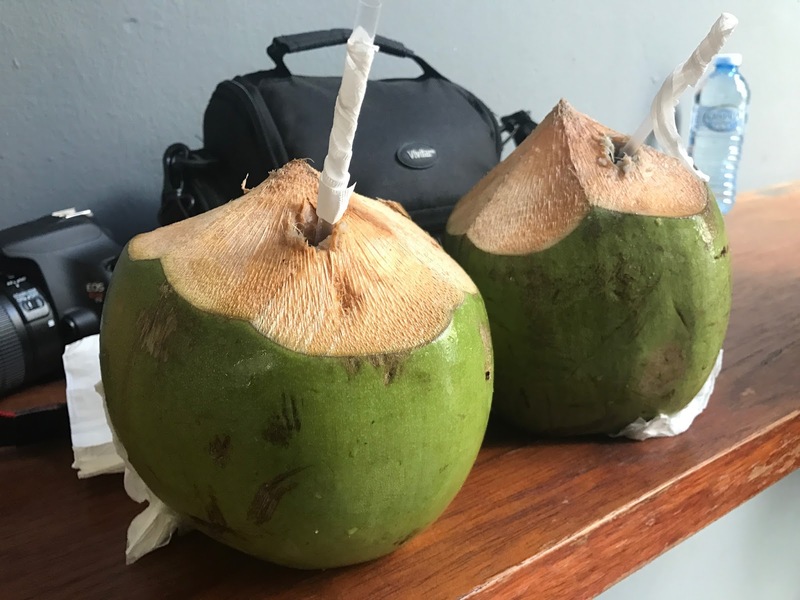 Our four day week has come to an end with this blog post today, which will be all about my recent trip to Puerto Rico! 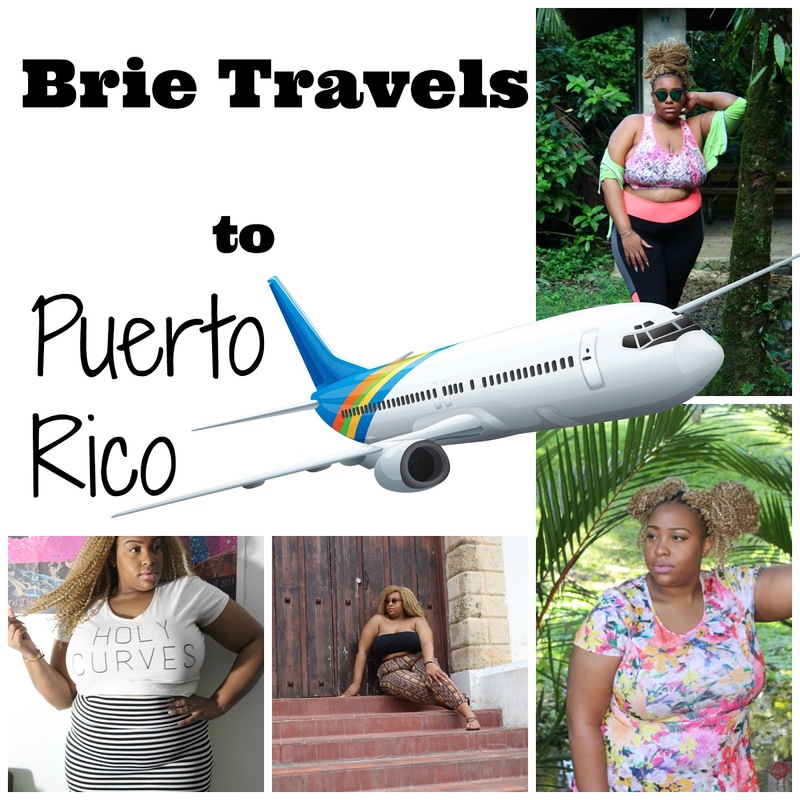 I am taking a couple of fun trips this year, so I decided to showcase all my outfits and fun with my trip in one super blog post that I will be calling Brie Travels to! 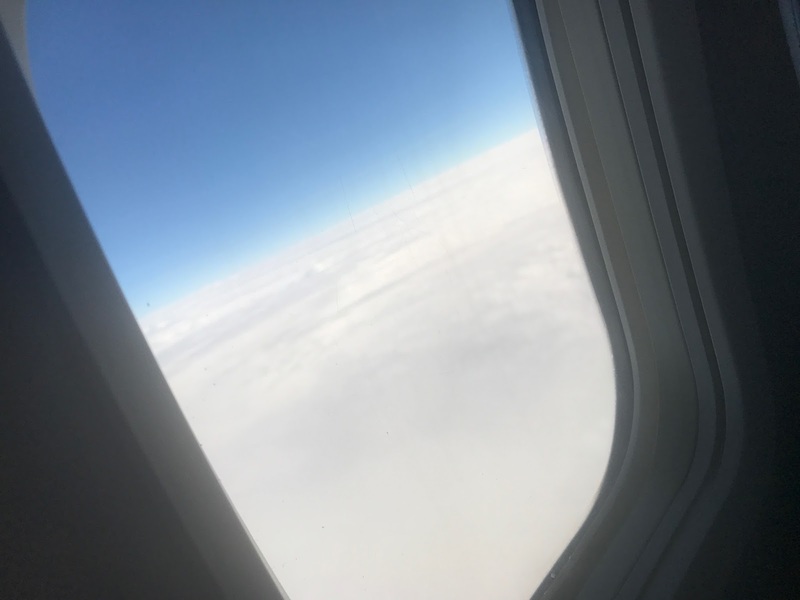 It’s pretty much like my travel scrapbook, and I am so thrilled to share my first trip of the year which was fantastic. Let’s hop right in! I am a very nervous flyer. There I said it! It’s something about not being on the ground that freaks me out! But I will not let fear stop me from seeing the world! My I traveled with my best friend Asha who just assured me that it’s all going to be ok! Idk but something about what she said really calmed me, so I got in the sky and just relaxed. I looked out the window and was just so amazed by the clouds! I have to say it has become my favorite thing about flying. Seeing all the clouds, and seeing all the civilization as you prepare to land. After we landed we grabbed our rental car, made a stop for some groceries, and headed to our AirBnB. We rested up because the week ahead of us was about to be amazing! 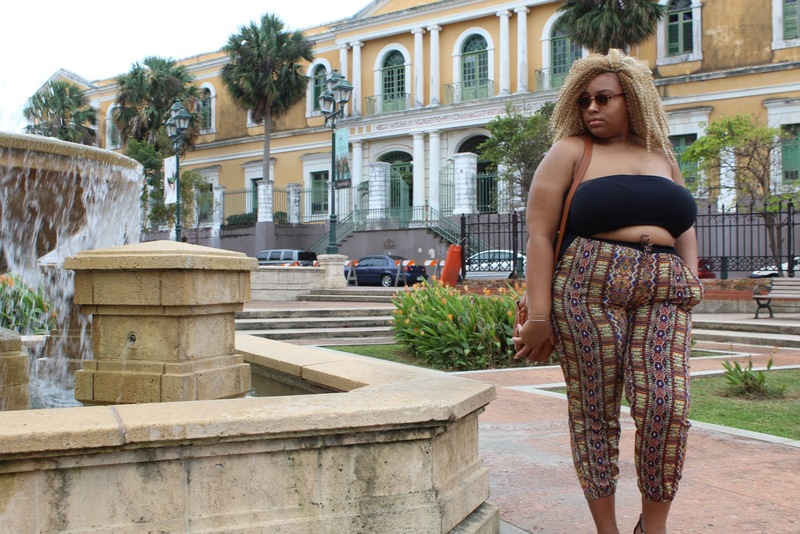 Old San Juan was my favorite place to visit! It is filled with so many beauitul buildings, and so much history is there! It was a great way to kick off our week! 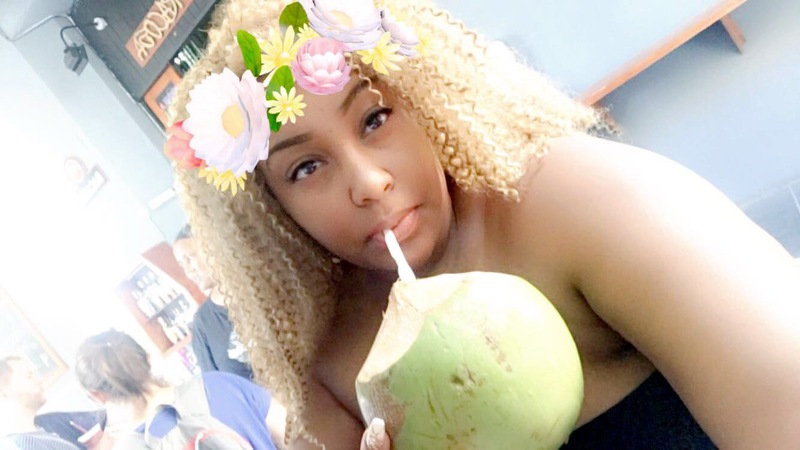 I told my best friend Asha that all I wanted to was drink out of a coconut while we were away. Well she spotted a place where we could do just that, and a item off my bucket list has now been crossed off! Day 2 Botanical Gardens Anyone? Ok so the botanical gardens? Simply beautiful! It was such an amazing spot filled will tall palm trees, and ponds filled with turtles! The sun was shining bright, and it was just so peaceful there! to was called Electroshock. It was very cool in there! 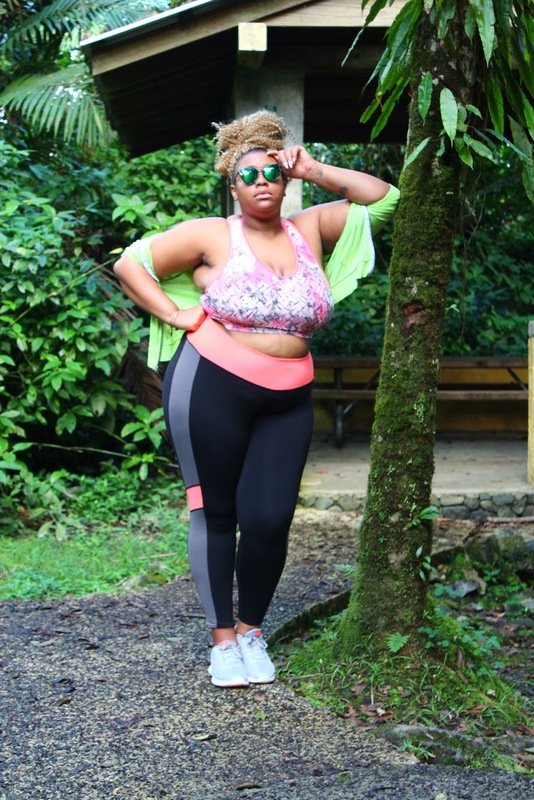 I was so excited when we arrive at El Yunque rainforest. 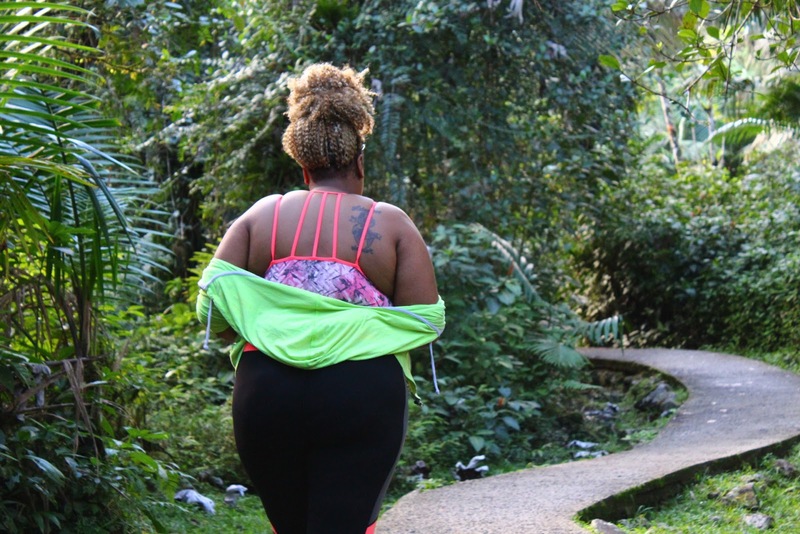 I was so excited to see all the greenery and to be in an actually rain forest! The ground is very slippery, and it’s pretty much a hike to get everywhere, so I decided that active wear was best for this day! Day 6 Partying All Night Long! We decided to end our week long adventure with a night out on the town! We got all dolled up, and headed back to Old San Juan to see what Puerto Rico was like at night! We had a great time ending out trip swaying to the amazing sounds of Salsa music! Oh and we had a couple of cocktails! So I hope you ladies have enjoyed taking a peek into my recent vacation. I hope you enjoyed this post, and look forward to more like it! Be sure to come right back here on Monday for your next blogpost! We are back to our regular schedule programing, but I hope you have enjoyed the four days I have been posting! I love you lots like tater tots, and I hope you have a fabulous weekend!